Amazing to think that we are looking back on another full year of creating lit centerpieces and decor for special events. Many of the jobs we worked on featured beautiful graphics that once lit up, were dazzling in darkened ballrooms. 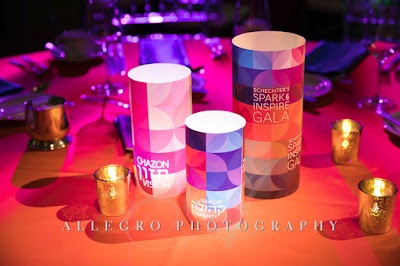 One of our favorites was produced for AE Events for the Solomon Schecter Day School Gala. 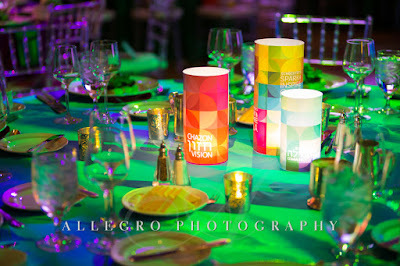 The use of the colorful backgrounds complimented the linens and room decor perfectly to create a stunning centerpiece.